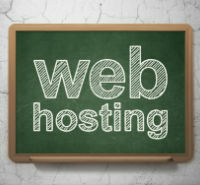 Are you considering a dedicated hosting plan for your website? Here’s a quick overview of how dedicated hosting works, along with the top pros and cons of the service. Ideally, this information will help you decide if this type of hosting is a good fit for your needs. How Do Dedicated vs. 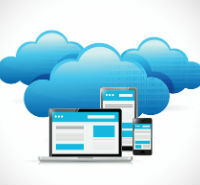 Cloud Hosting Solutions Compare? Our online business has grown to the point where it requires more resources and agility than shared or even Virtual Private Server (VPS) hosting can provide. In that case, you will want to consider cloud or dedicated options. Both are rich in resources so you can run large applications. Have you ever thought about where websites live? Sites on the Web are stored on equipment called servers, which make them accessible to anyone who has an Internet connection. Servers come in a variety of forms, offer a range of options, and are available from many different Web hosting companies around the world. Dedicated server hosting is one of the most popular hosting packages available, but what is it, exactly? And is it right for you? 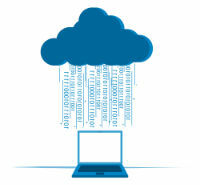 What Is a Dedicated Web Hosting Service? When you choose a dedicated server for your website, you’re essentially getting a machine that exists exclusively to keep your website online. Dedicated servers grant you the ability to manage and use all of the resources available on a server in any way you’d like. This, compared to another popular option, shared Web hosting, which allows several websites to exist simultaneously on a server. Since dedicated servers don’t have to share their resources with others, your website stands to benefit from increased speed while also allowing it to handle more Web traffic without straining the system. In general, dedicated servers are recommended for websites that need to handle heavy amounts of traffic. For most individuals and small businesses just starting out, shared hosting plans are a safer bet, but upgrading to a dedicated server is always an option. Now that you know the basics about this type of service, you’re in a better position to decide on the best dedicated server hosting plan for your website.